Happy Earth Day, Homies. 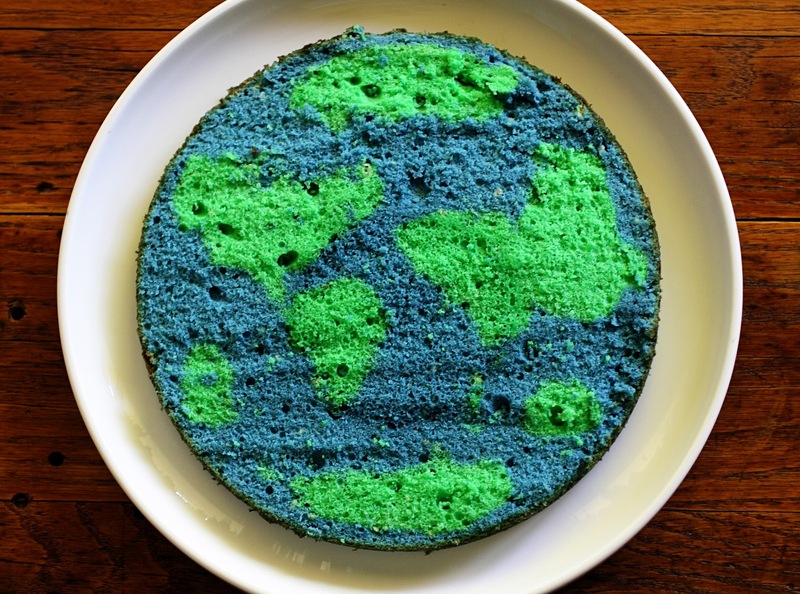 Because nothing says Happy Earth Day like cake. PS, to make just buy a box of yellow cake mix and use food coloring to make 3/4 batter blue and 1/4 green. Pour the blue batter on the bottom of a greased cake pan and add the green on top. Once the cake has completely cooled, slice off the top layer using a serrated knife and voila! Earth cake. That quote makes me think of Walter B... "scarcity is a myth." This is amazing! What a creative idea. I'm a fellow Watermark(er) and serve in Starting Blocks with my husband on Sunday mornings. I think you were working this morning?! Anyway, I love following your blog! robyn, sounds like a great way to celebrate today. bp, i was! grateful for your help with our kiddos. next time you're serving stop by and say hi! Such a cool looking cake!! That is the coolest cake ever! Did you come up with this sweet idea on your own? Way cool! !